Once, someone who was new to Texas said, "Oh, dont tell me again that Texas is such a big State!" 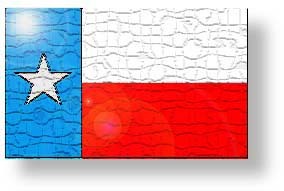 The trouble is that Texas has some 267,399 square mile and stretches 773 miles from east to west and 860 miles from south to north. With that much land mass, and with more surface-acres of water than Minnesota, Texas encompasses wildly divergent natural areas. The states Natural Regions form the basis for almost every field guide to naturally occurring flora, fauna, geology and geography. And, the Texas Travel and Tourism Map, adopted by Texas Parks and Wildlife in cooperation with the Texas Department of Transportation and the Texas Department of Commerce, was based loosely on the Natural Regions. Its not an accident that we use the travel map in the "Passport Journal", its the natural thing to do because it gives you a hint of the type of vegetation and terrain you may encounter on any trip! Heres a guide to the Travel Regions with an abbreviated description of the eleven major Natural Regions that underlie them. Each major Natural Region contains subregions and, of course, nature does not follow the county lines found in most travel maps. 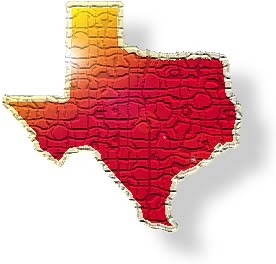 On the INTERNET, check out the Texas Parks & Wildlife web site under the heading Nature to see a detailed map of the Natural Regions of Texas. Rolling Plains Natural Region with 22 - 30 inches annual rainfall. Gently rolling grasslands that originally included tall and midgrasses. High Plains Natural Region with 15 - 31 inches annual rainfall. The southern end of the Great Plains, relatively level high plateau separated from the Rolling Plains by the Caprock Escarpment - home of the dramatic Caprock Canyons and Palo Duro Canyon state parks. Trans-Pecos Natural Region with less than 12 inches annual rainfall. The most complex Natural Region, it includes Sand Hills, the Stockton Plateau, desert valleys, wooded mountain slopes and desert grasslands. Edwards Plateau Natural Region with 15 - 33 inches annual rainfall. Several rivers cut canyon lands here creating a rough landscape dominated by ash, juniper, Texas and stunted live oak trees. Llano Uplift Natural Region with 30 inches annual rainfall. Home to the Enchanted Rock SNA, the uplift contains other granite exfoliation domes. South Texas Brush Country Natural Region with 16 - 35 inches annual rainfall. Level to rolling land with thorny brush and with a greater diversity of animal life than any other place in Texas. It is home for many near-tropical species, many grassland species and some desert species. Coastal Sand Plains Natural Region with 35 - 45 inches annual rainfall. Fairly level windblown sands and dunes with grasslands, oak mottes and salt marshes. Gulf Prairies and Marshes Natural region with 20 - 50 inches annual rainfall. This is a nearly level, slowly drained plain dissected by streams and rivers which flow into highly productive estuaries and marshes. Oakwoods and Prairies Natural Region with 35 - 45 inches annual rainfall. Oak - hickory forest broken up with fingers of tall-grass prairies. Peat bogs and marshes, river valleys with forests of hackberries and pecans. Blacklands Prairies Natural Region with 30 - 40 inches annual rainfall. Gently rolling to nearly level grasslands with dark alkaline clays often called "black gumbo". Rivers in these two Natural Regions have been dammed creating a multitude of manmade lakes. Pineywoods Natural Region with 35 - 50 inches annual rainfall. Gently rolling to hilly forested land, part of a larger pine-hardwood forest that extends into Louisiana, Arkansas and Oklahoma. Historically, Gus Engelings mature uplands of oaks, hickories, elm and gum were never extensively cut but an understory was allowed to encroach. Now, nearly 50 years of conservation management have restored 500 acres of uplands to their original savanna state. The Engeling WMA also claims over 3,000 acres of prime wetland habitats including hardwood-bottomland floodplain, riparian corridors, marshes, swamps, bogs and beaver ponds. Beavers play an active role here in creating wetlands with their tree-felling and dam building activities. "In East Texas, hardwood-bottomlands are the axis from which many wild animals move to uplands," said Hayden Hauck, area manager. "without these hardwood-wetland systems, many wildlife populations in east Texas would deteriorate in number and kind. They are, without a doubt, the single most important wildlife habitat type in East Texas."